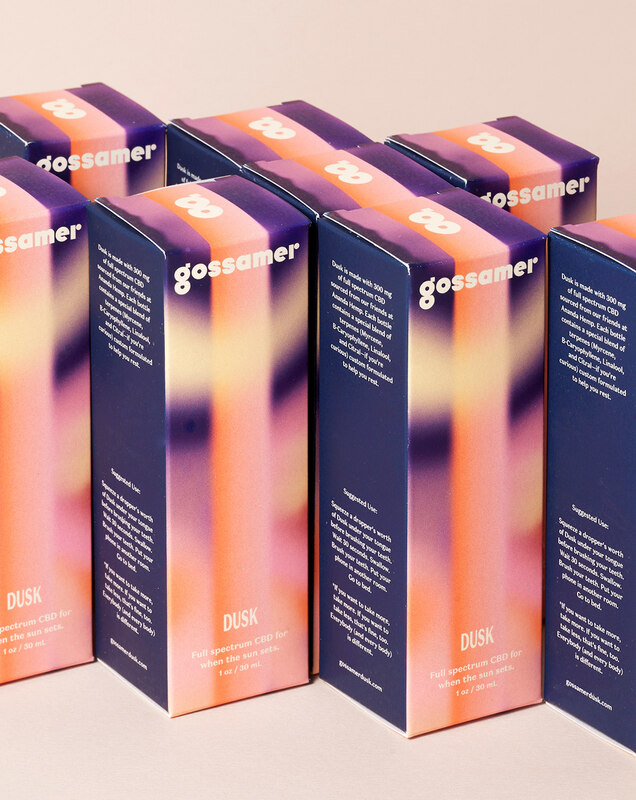 Illustration & graphic design for gossamer DUSK – CBD sleep drops. 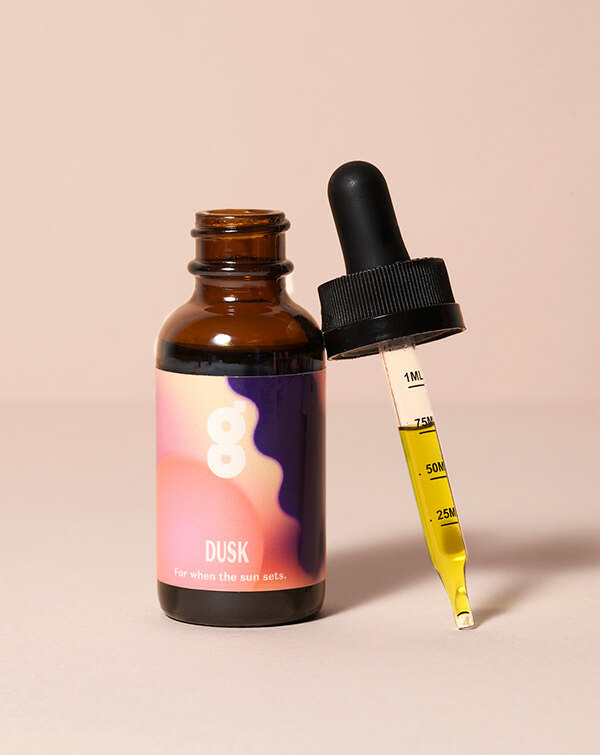 Over the past year, the CBD market has exploded: CBD lattes, CBD mascara, CBD in every form under the sun.There’s a lot of noise, a lot of confusion, and very few, if any, products that would actually look at home next to the premium beauty, wellness, and supplement brands our target consumer already knows and loves. 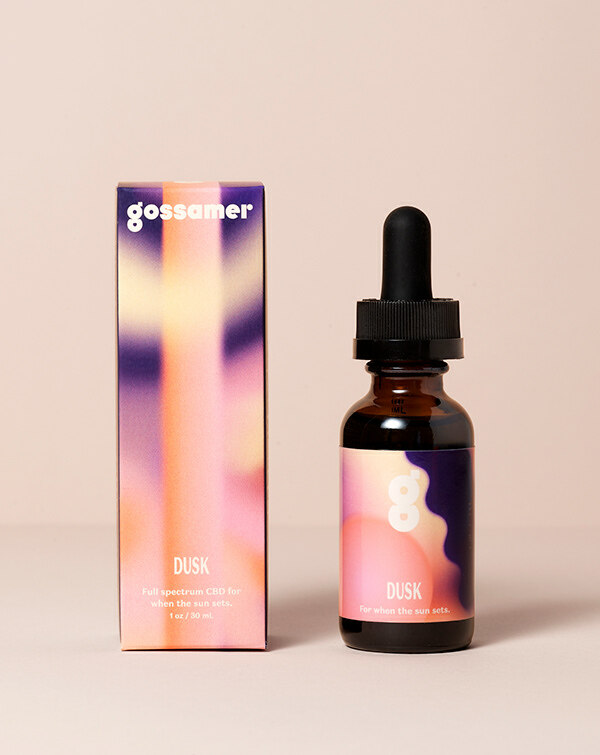 Dusk, with the tagline “CBD for when the sun sets”, focuses on one specific effect: sleep. 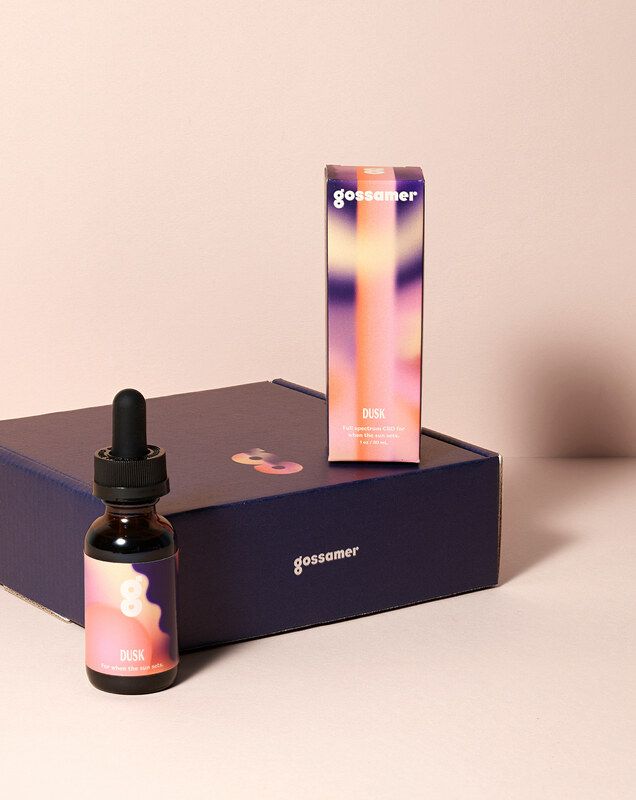 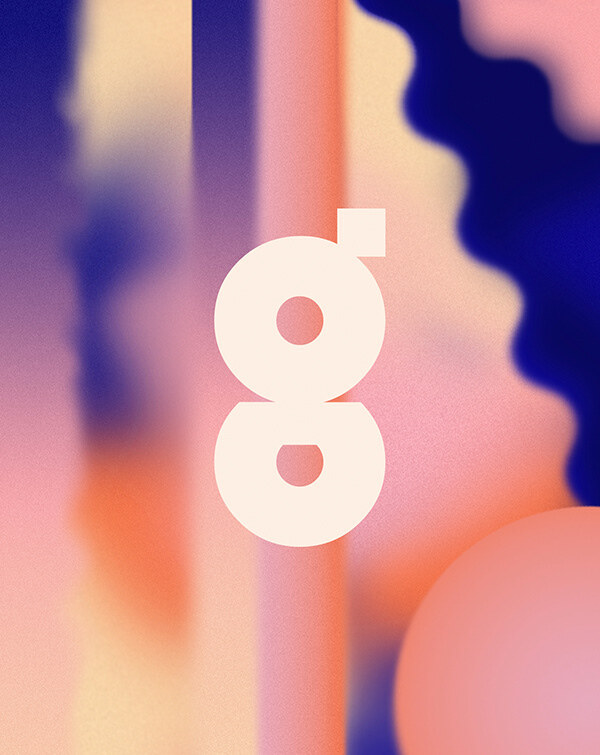 The goal was packaging design that aligned with the product intention and introduced CBD to an audience in a way that was elevated, engaging, trustworthy, and different from everything else out there, while still working within the confines of the form factors dictated by producers: standard tincture bottles and paper cartons. 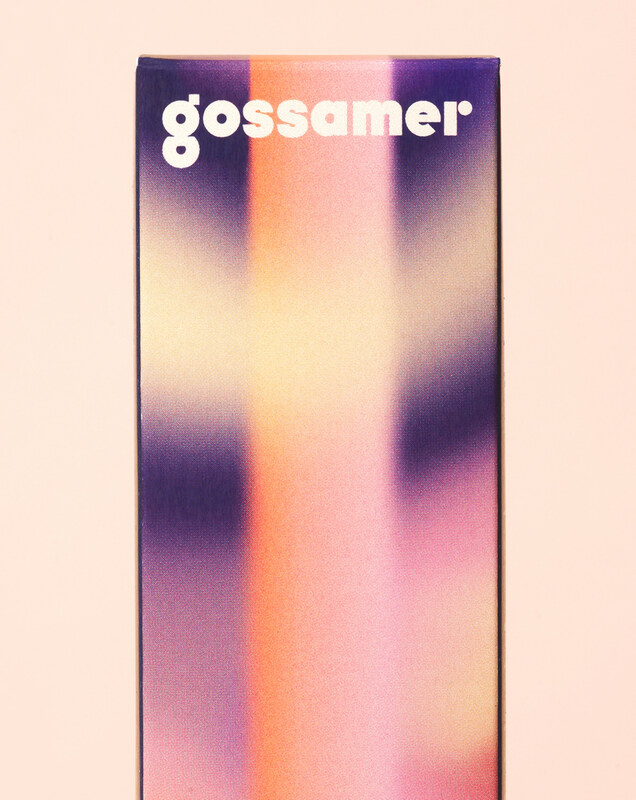 The moody illustration on the packaging should feel like a change of state – from active to relaxed.